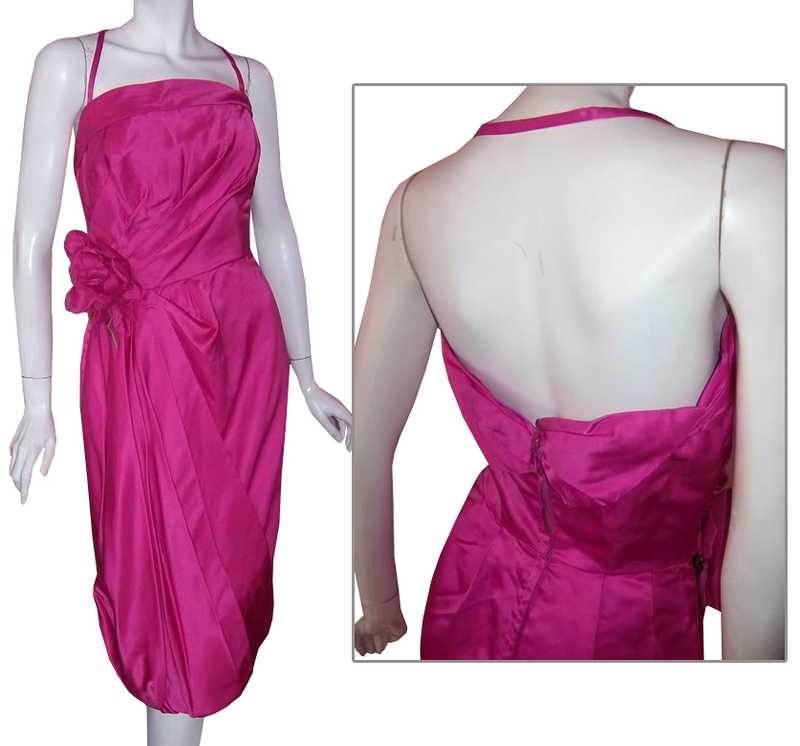 This dress has a square neckline with halter neckline that has thin straps and a bow at the side of the dress. The skirt looks like a wrap around and it is knee length. 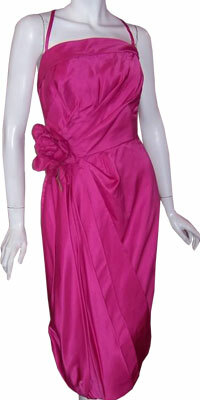 The pink shade gives it a feminine touch and looks mesmerizing.